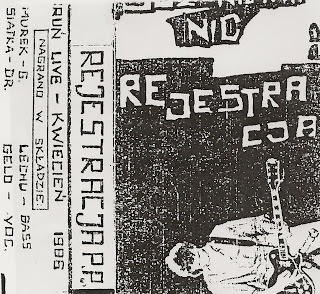 This is some kind of old tape-trader copy of a great live set from this classic Polish punk band. 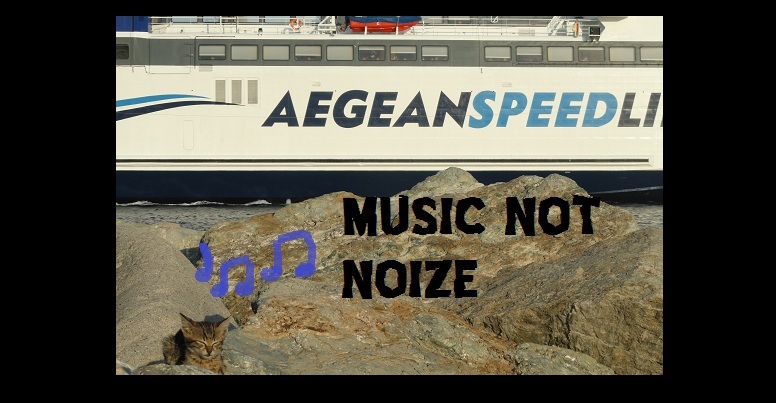 Interesting song arrangements, commanding vocal chants, and an all-consuming reverbed guitar sound. This band never did a "proper" studio recording, but this material stands pretty strong on it's own. 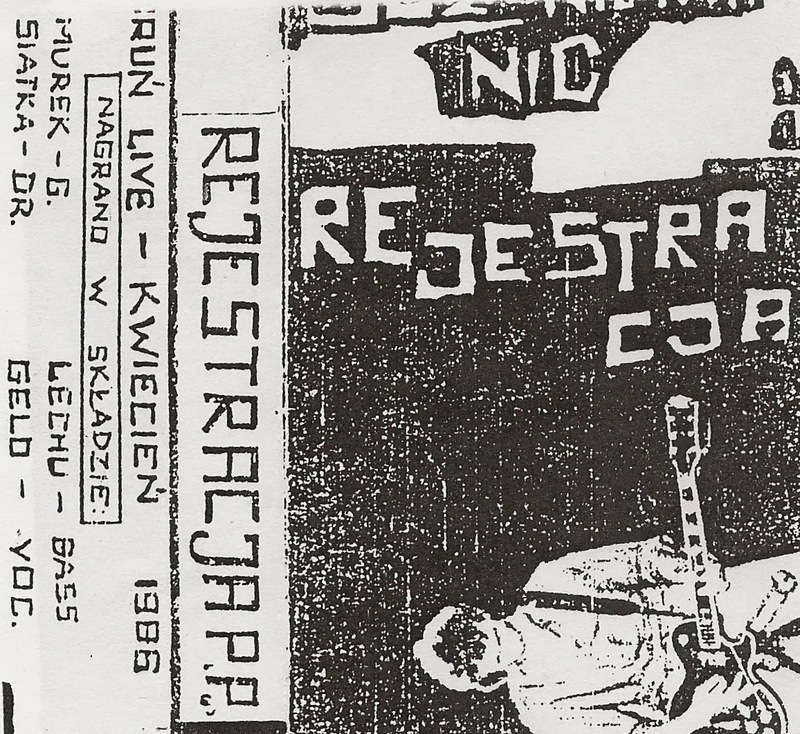 A shame though, because REJESTRACJA were incredible and unique sounding, and are considered one of the most monumental Polish punk bands.